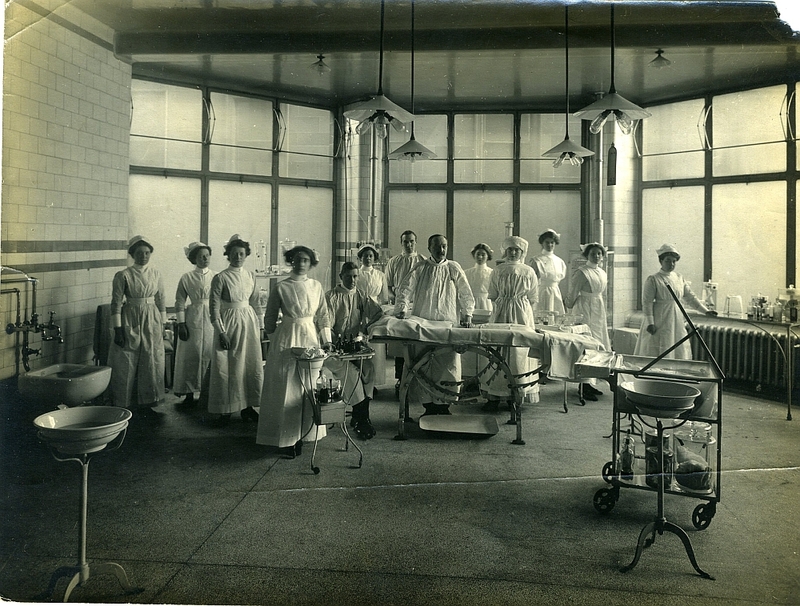 Mr Henry Rutherford (1861-1929) with his surgical team in the Surgical Operating Theatre at the Glasgow Royal Infirmary. Mr Rutherford is 6th from the right. 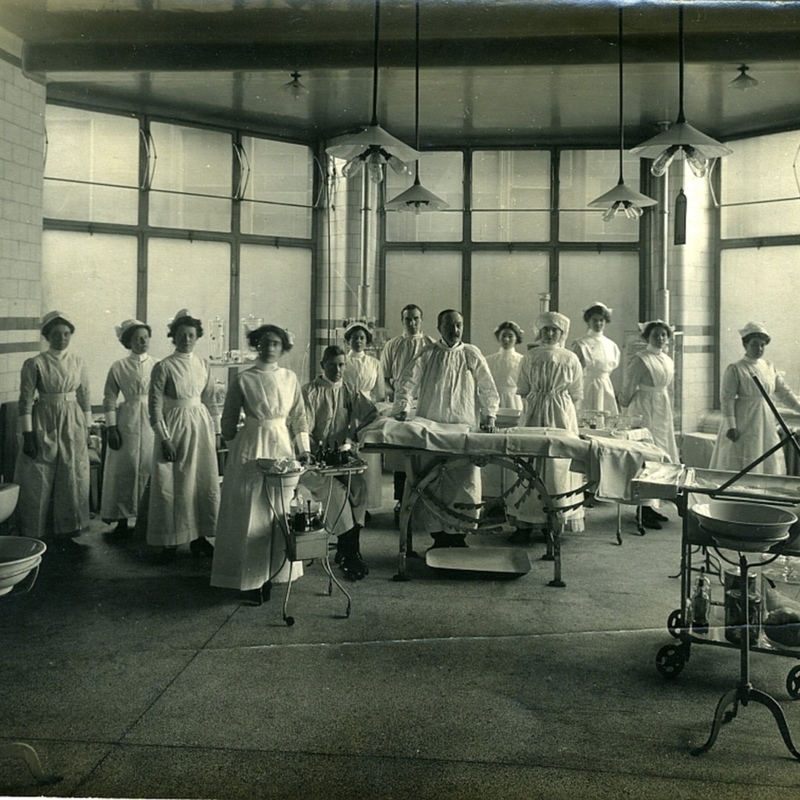 “Mr Henry Rutherford with his surgical team,” Heritage, accessed April 23, 2019, https://heritage.rcpsg.ac.uk/items/show/849. Description: Mr Henry Rutherford (1861-1929) with his surgical team in the Surgical Operating Theatre at the Glasgow Royal Infirmary. Mr Rutherford is 6th from the right.